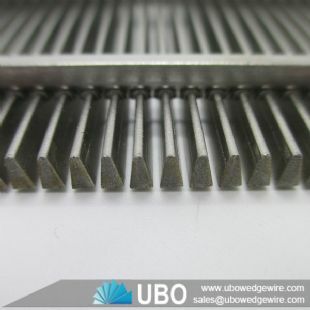 Wedge Wire Screens are manufactured by wrapping a profile wire cylindrically around longitudinal placed support rods. 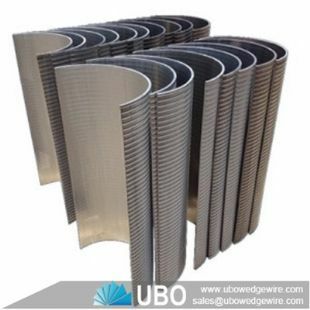 All wires and rods are resistance welded at each point of contact. 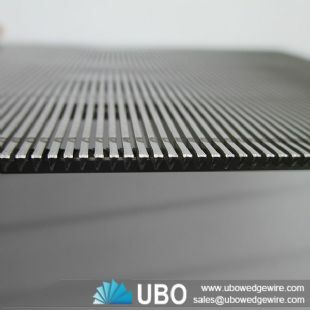 The numerous combinations of wire profiles, support rods, flow direction and wide range of slots (fixed or variable) allow UBO to design screens according your exact technical specification. 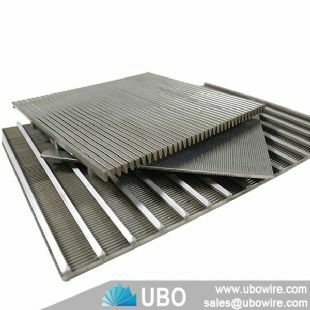 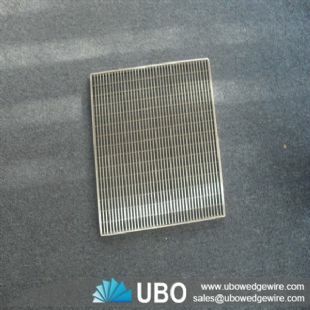 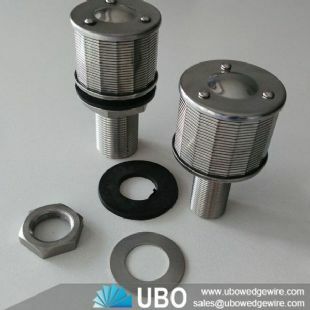 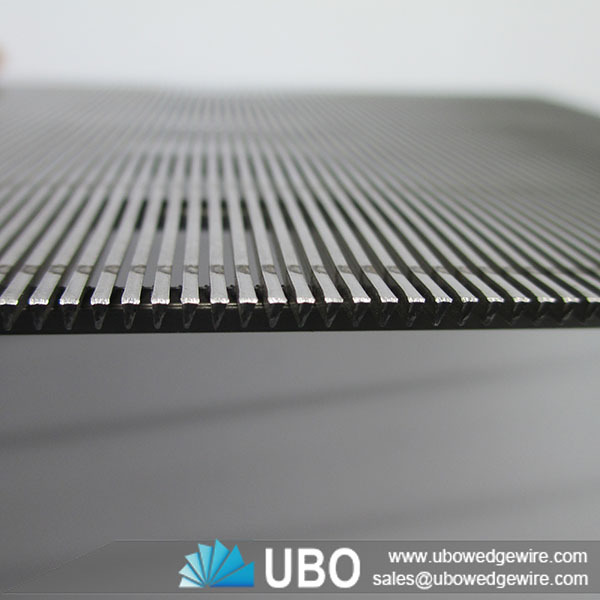 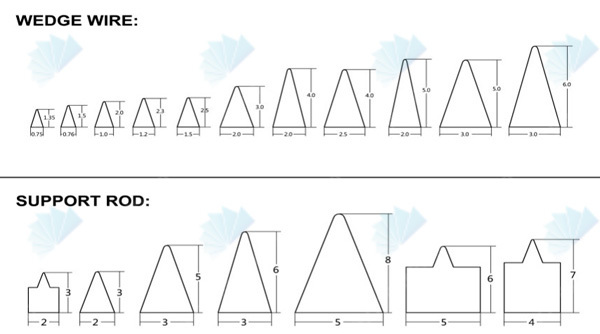 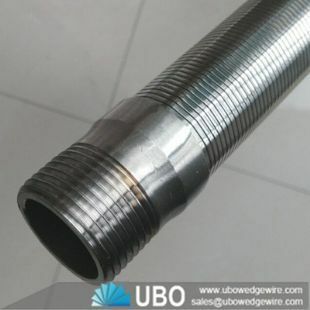 UBO manufacture wedge wire screens for a variety of industries including water well production, water treatment, food and beverage, oil and gas, pulp and paper, mineral and aggregate processing, refining and petrochemical. 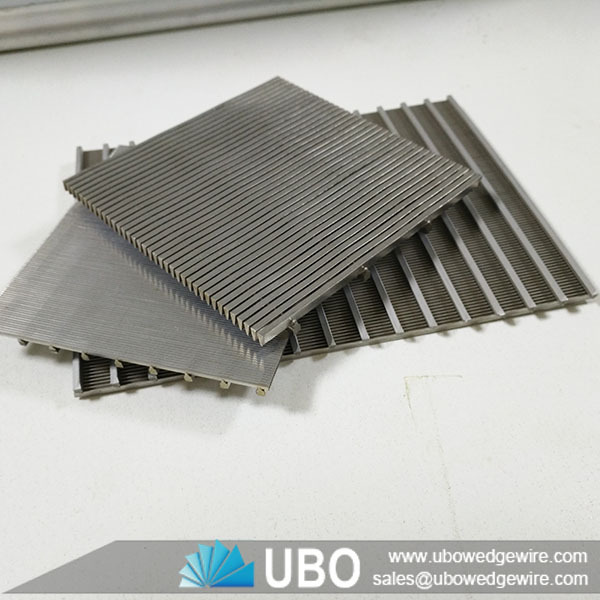 Stainless steel profile wire sieve wedge screen panel is manufactured by wrapping and welding stainless steel V-shaped profile wire cylindrically around support rods,then be made to panel screen through cutting and edge welding. Each profile wire and support rod is contacted by resistance welding. 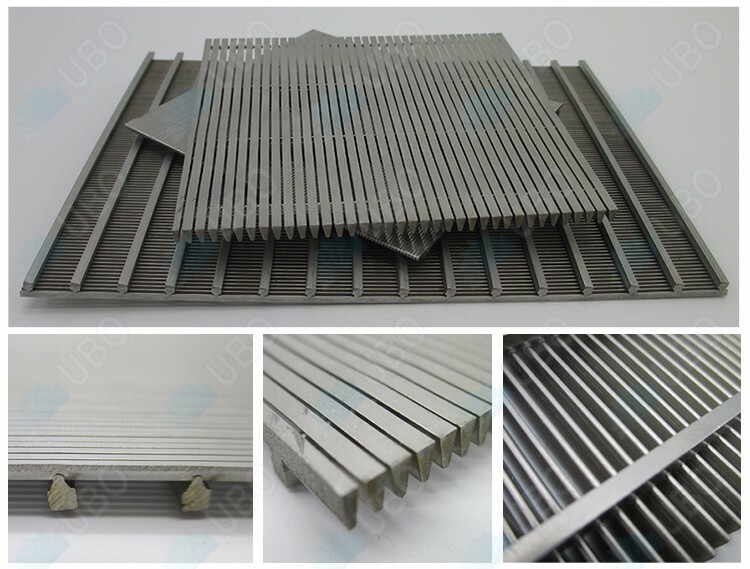 Support bar will be flat bar ,round bar ,triangle wire and so on,slot size range from 0.2mm to 3mm.